Copywriting is writing text for advertising or marketing. When you’re writing a business blog, you’re not just blogging for the enjoyment of it–it has a commercial purpose. Even if one of your goals with your content is to educate your readers, the other goal of convincing them to take an action that ultimately leads to a sale is always there. Business blogging (content marketing) is digital copywriting. As William Strunk noted in the famous (‘Strunk & White’) guide to style, The Elements of Style, you need to know the rules to break them. Several of the rules below come from this famous, short guide, which has been helping writers of all kinds for 100 years. Every writer can benefit from being familiar with The Elements of Style. Many professional writers always have a copy close at hand–almost as a badge of honor. It’s the bible of clear writing. 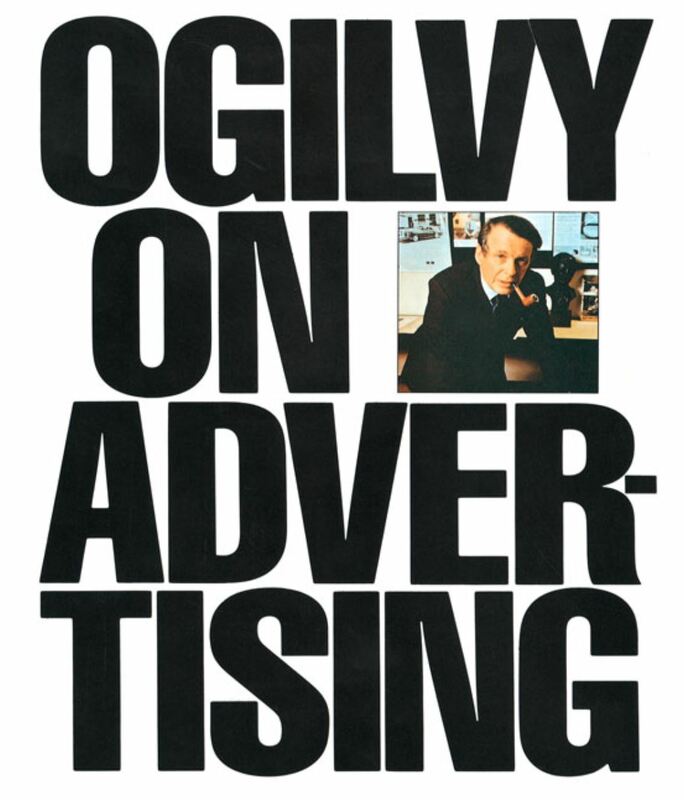 His best-selling book, Ogilvy On Advertising is definitely recommended reading. Ogilvy was also a master copywriter and a strong proponent of fundamental rules that governed goody copywriting. 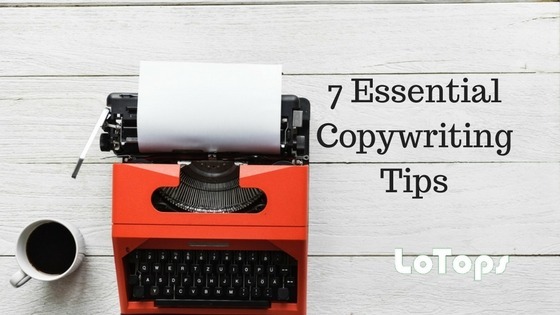 Let’s take a look at 7 tips that will make your copywriting better and your content marketing more effective. Digital marketer Neil Patel, who has launched three different successful blogs, claims that ‘a catchy headline is your entry into your reader and potential customer’s world–and that’s a very busy space they occupy. If your headline doesn’t attract a reader, no other part of your copy is going to matter. Nobody will read it. Many writers think of the headline as an afterthought, focusing almost all effort on the interior copy. That’s a mistake. There is only one reason your client or prospect will read a single word of the copy you’ve written: your headline. Blogger Melanie Duncan, along with others, recommends using the 4 Us for headline writing: Useful, Urgent, Unique and Ultra-Specific. Don’t make the mistake of trying to jam every feature of your article into you headline. Effective headlines focus on one or two key features. Cluttered headlines are confusing and ineffective. Consider SEO objectives as well when writing headlines today. Is your primary keyword buried at the end of your headline? Is there a compelling reason for this, or could you move it closer to the start of your headline? Finally, just because you’re focusing on writing a great headline doesn’t mean that needs to be the first step in your writing process. You can write your blog first, then come back for the headline. Often, you’ll find your headline is already written (or nearly written) inside your article. Errors make your writing look bad. It’s as simple as that. No matter how much value you’re delivering and no matter how well you know your subject, if your writing has errors your readers will get pulled out of your writing and doubt your expertise. Avoiding writing errors is part of good writing. Common grammar errors include incorrect subject-verb agreement and misused contractions (it’s vs. its). 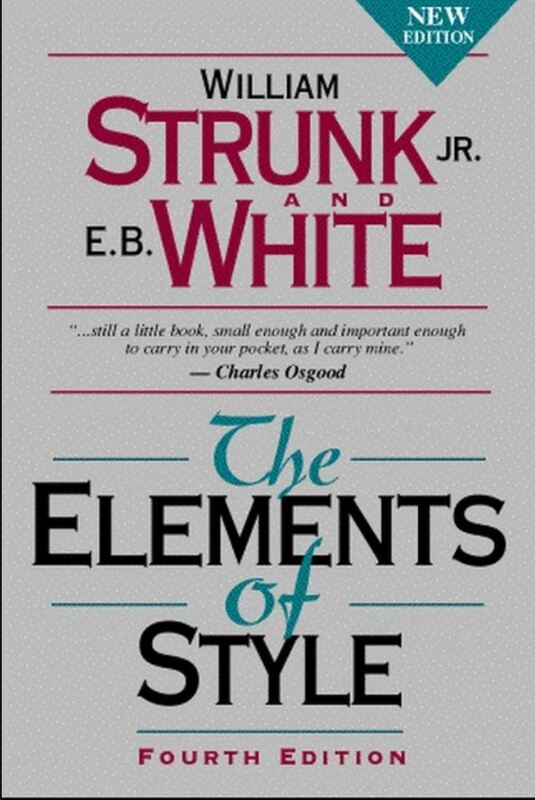 See the first chapter of The Elements of Style, which is devoted to correct usage. 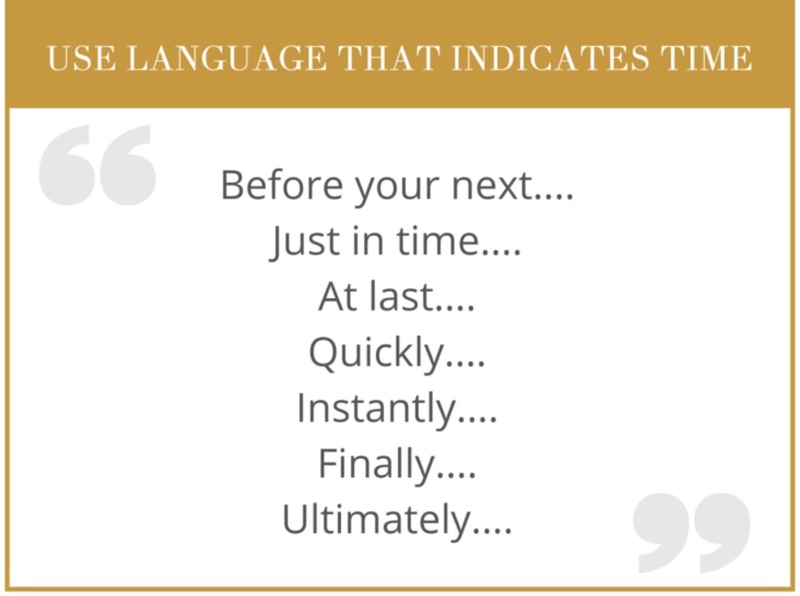 That short chapter will allow you to avoid thousands of cases of incorrect usage over the course of your writing career. When it comes to spelling, make sure you spell check your articles. It takes very little time, but a surprising number of writers neglect to do so. Spelling errors generally make you look careless. On social media–Twitter, in particular because of its space restrictions–allow for playful contractions and slang. Nite instead of night. Or thru for through. Or LOL. That’s understood and accepted. Metaphors are fine and can add depth to good writing. Just choose the one you want to go with and stick to it. Any good writer can relate to this quote! It takes time and effort to be succinct. It’s far easier to simply write whatever comes into your mind. Especially when you’re writing for your own blog and are also he publisher. Avoid this temptation. It’s actually lazy writing. Instead, follow the very sage–and very succinct–advise of Strunk. Make every word tell. You can –and often should–write long blog posts. Just make sure you’re not sacrificing quality in the pursuit of length. One of the most common pitfalls to avoid is excessive adverbs and adjectives. These usually clutter up your writing and a lot can be added by removing them. Try to stick to nouns and verbs. Research primarily entails knowing your audience. Ogilvy worked for George Gallup –who founded the famous Gallup Poll–before he started his own agency. The man knew the value of understanding what people actually think and are interested in. Research your audience. Understand who you’re writing for. What does your audience want or need? What does your audience already understand? After research, you start the writing. Don’t hit publish immediately after writing. Schedule time to read what you’ve written and to edit and revise it. This part is often neglected by less serious bloggers. But you’ll almost inevitably find that your content can be strengthened by revising and rewriting a bit. 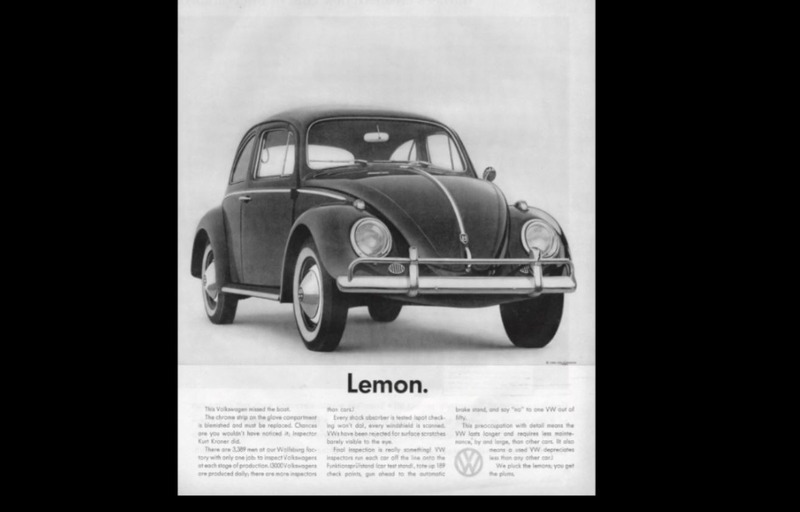 Bill Bernbach was the adman behind the famous–and very successful– VW Beetle ads of the 1950s and 60s. At a time when most Americans wanted a big car with lots of styling from Detroit, the VW Beetle was a small unadorned car made in Germany. Rather than trying to mask these elements, Bernbach’s ads addressed them directly–treating his audience as smart and respecting it. The campaign was a huge success and the Beetle became a secure piece of Americana. Your audience has some objections to your product or service that need to be addressed. Don’t ignore them or act as though they don’t exist. Tackle them head on. Your copy will sound much more honest and you’ll build more credibility. 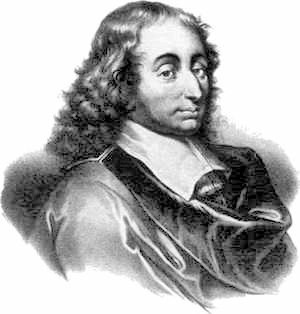 John Caples was one of the most effective copywriters in history. 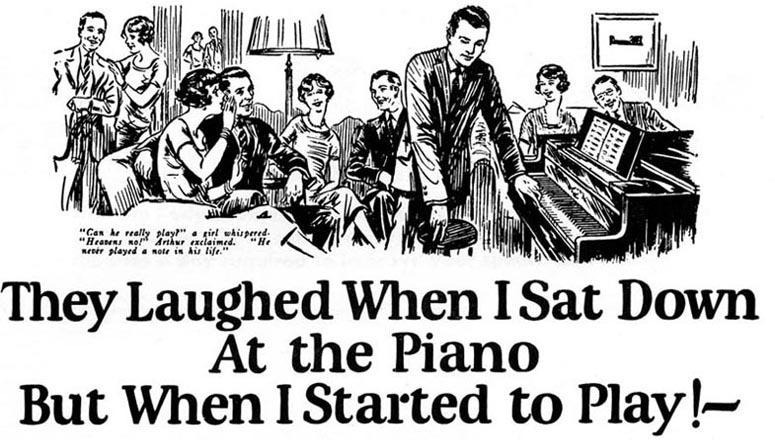 He wrote some of the most successful direct mail pieces ever, including this ad for the US School of Music. The man knew how to sell with words. The most important word in the English language is you. David Ogilvy used to advise that you are not writing to an audience of hundreds with your advertising–you’re speaking directly to one person at a time. Address your audience directly, as though you’re speaking to one person. Don’t recede into the passive voice and hope that no one really listens. Be active. Say what you mean. If you have direct advice, don’t be afraid to give it. If you want your audience to take an action–to download content or sign up for your newsletter–say it. Be direct. Don’t act as though you’re not selling something. That’s annoying. People are smart. They know you’re selling something. Don’t be overly subtle. Be confident. Being genuinely confident in your writing is different from trying to make yourself the star of your copy. Be appropriately humble. Don’t play dumb, but don’t try to fill your writing with fancy words to show off. Specificity can be very compelling. Does your software increase conversions very effectively? Or does it increase conversion by 27.6%? 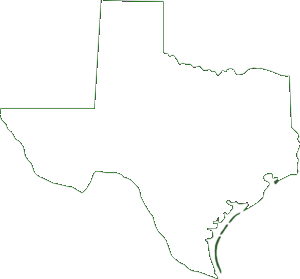 Do you have lots of happy customers? Or do you have 29,456 satisfied customers? When you have specific data points try to use them. They can work magic.